The Life Sign Quit Key Smoking Cessation Computer is the way to quit smoking, once and for all, without drugs. The United States National Institute of Health fully supports and funds this proven to be effective smoking cessation tool. Language options. There is the English only version, also the European version which includes Spanish, German, Italian, French, Dutch and English, and finally the Asian language option that offers English, Japanese, Korean, Hindi and Chinese. With Life Sign-Quit Key, you don’t have to worry about nasty side effects that may occur with prescription drugs (such as nightmares and sleepless nights). This technology has been used by over millions of smokers around the world. It is recommended by health care professionals, and it will be personalized to meet your smoking patterns. This small device (size of a key chain) tells you when you can and cannot have a smoke. It is designed to work in two parts, with the first stage lasting 7 days,and it is during this time you will not change your smoking routine at all, but you will record each cigarette you smoke into the Quit Key, and this information is used to form your personal plan to quit. During the second phase (which can last 14 to 35 days) you will begin your gradual decrease of smoking. The Quit Key helps you to delay your next smoke, and easily prepares you for a smoke-free existence. 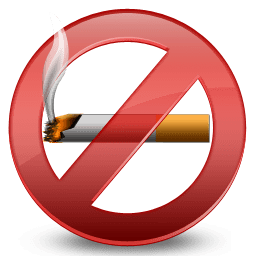 ​Quitting the habit of smoking is a scary prospect for many people, and is similar to riding a bike for the first time; you won’t get it right at first, but never say that you failed,just get back on the “bike” and try again. Weight gain is a concern for many individuals that are contemplating quitting smoking, just try to limit your consumption of sugary and high fat content foods. Brisk daily walks, not only to keep weight down, but also to help with stress.